A new novel set in Alaska shows how quickly traditional knowledge could become far more valuable in a world under ecological stress. 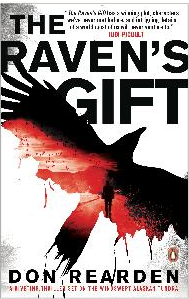 “The Raven’s Gift” is set in a future that might be closer than we realize. Readers have a chance to talk it over with author Don Rearden, on the next Talk of Alaska. LIVE Broadcast: Tuesday, July 9, 2013 at 10:00 a.m. on APRN stations statewide.